Recently, two Detroit residents who are partners in a Detroit-area tax preparation business pleaded guilty to charges of conspiracy to defraud the U.S. and the IRS, according to a press release issued by IRS Criminal Investigation Special Agent in Charge Jarod J. Koopman, and United States Attorney Barbara L. McQuade. The two residents, Ingrid Thompson and Toranio Ingram, were equal partners in the ownership of Special T Tax in Detroit, each receiving approximately half of the income the business generated. According to the release, Ingram and Thompson generated more than $1.4 million in revenue over the course of 10 years beginning in 2001. The two co-owners failed to report this income to the IRS by providing the bank with a fake social security number when opening the business account, and doing the same when registering the business with the Michigan Dept. of Labor. The two also failed to file a U.S. Return of Partnership Income (Form 1065). Because they concealed this information and did not report the income, Thompson and Ingram understated their personal income tax liability by $420,703. Court records indicate Ingram was involved in numerous fraudulent schemes with co-conspirators including with HUD (U.S. Housing and Urban Development) in which he submitted over 100 false claims for UFMIP (Upfront Mortgage Insurance Premiums) refunds to be deposited into bank accounts after stealing others’ personal identification information. This is just one example of the many schemes Ingram was involved in. Additionally, Ingram and Thompson submitted claims of more than $633,000 for the FTHBC (First Time Homebuyer Credit) using stolen personal identification information in an effort to collect refunds clients were not owed, then directing the refunds into business and personal checking accounts. In all, Ingrid Thompson pleaded guilty to one count of Conspiracy to Defraud the U.S. before U.S. District Court Judge Matthew F. Leitman. Toranio Ingram pled guilty to the same charge, along with one count each of Wire Fraud Conspiracy and Mail Fraud Conspiracy. Thompson and Ingram are scheduled to be sentenced on October 15. Each could face fines of up to $250,000 and/or up to five years in prison for the Conspiracy to Defraud the U.S. charges. The mail and wire fraud conspiracy charges against Ingram could result in fines of up to $250,000 and/or 20 years imprisonment for each charge. 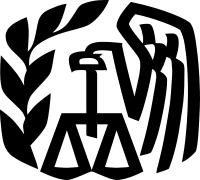 Whether attempting to defraud the IRS or U.S. government or stealing others’ personal identification information for personal financial gain, fraud is a serious allegation. If you or someone you know is under investigation for alleged fraudulent activity, consult with a skilled and capable Michigan white collar crimes attorney immediately. Work must begin as soon as possible to protect your freedom, legal rights, and future.